Level playing field or levelled to the ground? 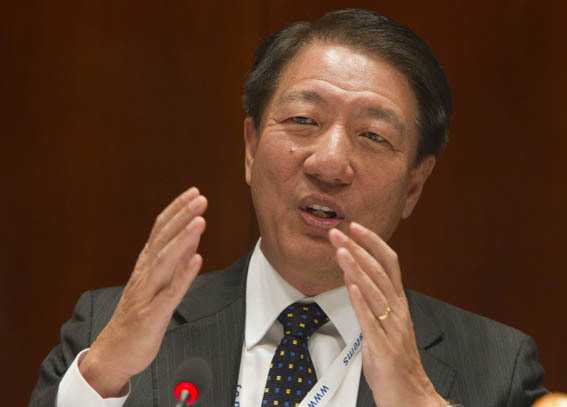 Teo Chee Hian, the deputy prime minister has responded to criticisms that the redrawing of electoral boundaries has affected PAP more than the opposition wards. “The incumbents are the ones who have the most disruption from any redrawing of boundaries because they are the ones who actually have been working the ground. In the opposition-held wards, there have been no changes, so actually they face the least disruption. If you want to talk about fairness and all these kinds of things, I think the playing field is level, if you do your work on the ground consistently,” Mr Teo added. His points, though valid to some extent, rang a little hollow with some of the political critics in Singapore. Workers’ Party’s NCMP Mr Yee Jenn Jong, for example has campaigned in Joo Chiat since GE 2001 for the upcoming elections, witnessed the disappearing of his entire ward due to redrawing of the electoral ward. It is problematic especially for the opposition parties that already have a footprint from the last GE to claim their turf back. Joo Chiat which is now under Marine Parade GRC would mean Workers’ Party has to now decide on whether they will be contesting in Marine Parade against National Solidarity Party in a 3-cornered fight. With the elections expected to be called right after the SG50 celebrations, opposition parties have little time to sort out their differences. The key question to ask is, has the redrawing or electoral boundaries created a level playing field or is it designed to level the opposition to the ground even before the words on-your-marks?